Fashion With A Conscience has moved. Visit www.fashionwithaconscience.org: Kick it! If you live in New York, you know all about street walking. When you first move out here it's like being on an instant diet that actually works. Personally I lost at least 10 pounds on what we'll call: the "street walker" diet. On the flip side however walking this much is terrible for your heels! I am and will always be a die hard supporter of the high heel no matter how much walking I have to do. 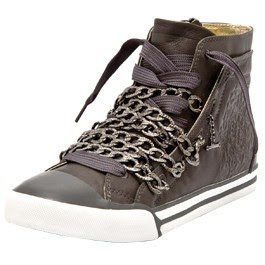 But this season a more casual kind of footwear caught my attention. The kick game is playing hard and everyone is tuning in. DJ Mark Ronson for Gucci. 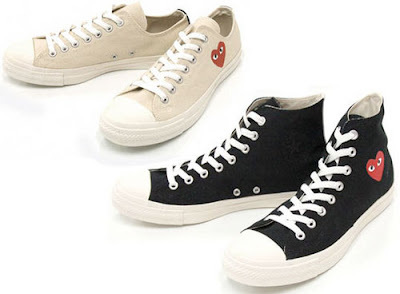 Comme des Garçons' take on Chuck Taylors. 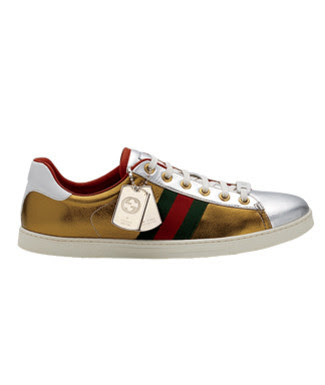 212-604-9200 UES Upper Echelon Shoes. We are loving the metallic finish, retro lines and hardware used on these fun styles. Everyone should consider adding at least one pair to their staples. 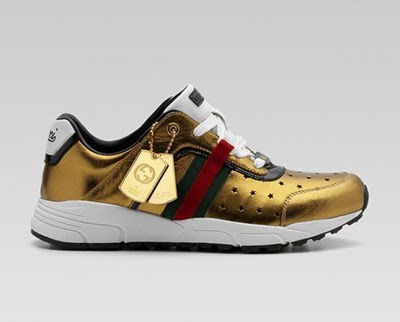 There is a sneaker out there for every budget! So kick back, relax and enjoy the walk.